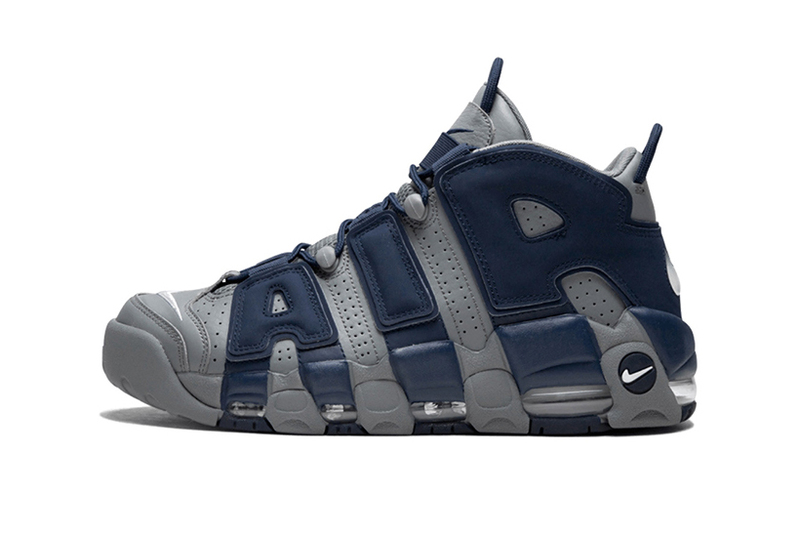 Following a vibrant tricolor iteration, Nike’s beloved Air More Uptempo returns with a makeover that pays homage to the Georgetown Hoyas men’s college basketball team. The high-top sneaker is wrapped in a Cool-Grey/White-Midnight Navy colorway. White tones hit the Swoosh logos on the heel caps and lower overlays for a balanced look. Mixing materials including leather, suede, steel and resin.